Well the summer is almost fading but what a beautiful summer it has been. Not only am I still in the glow of being recently married, work has been encouraging busy, especially for August, maybe the green shoots are finally upon us. Amongst all this I found time to enter a short film I made for News UK into the Photofusion Still/Moving DSLR Film Festival. I was thrilled to learn it has been chosen as one of the films to be screened at the festival. 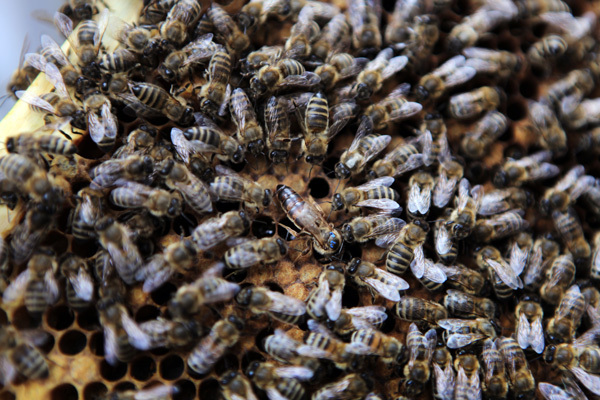 The film is the story of how airline pilot Hannah Hodgson finds solace from her busy life by keeping bees. If you would like to attend the screening it is on Sunday the 21st of September. If you can’t make it you can watch the film on Vimeo. Over the past few years I have been working closely with London Evening Standard Campaigns Editor David Cohen. We first met on a job taking us to Kenya to launch the paper’s Christmas appeal. We continued this healthy working partnership by working on UK Press Awards Campaign of the Year winning campaigns; ‘The Dispossessed’ and ‘Ladder for London’ as well as‘Get London Reading’ for which I also shot two films: St Mary’s School 1 & St Mary’s School 2. 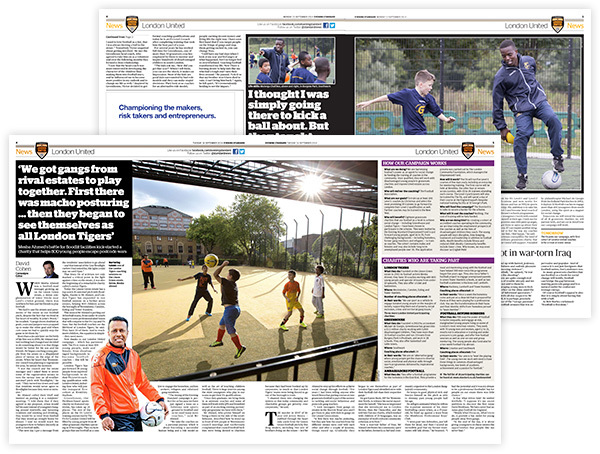 The latest campaign ‘London United’ attempts to harness football’s power to change young lives by targeting young people on London’s roughest estates to be coaches and mentors. My regular work for the London Evening Standard features department always provides a good source of portraits and features. 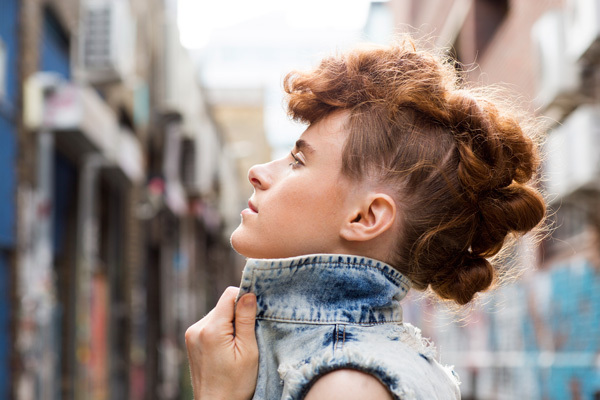 One such assignment was to photograph Canadian singer songwriter Kiesza. Having watched the video of her latest hit ‘Hideaway’ I decided to do a recce in the area around my office in Shoreditch and found this perfect little back street just near Great Eastern Street. The piece ran as a cover and double page spread inside for a Lovebox Festival special.